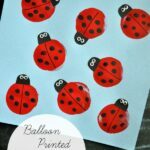 My daughter found a pack of balloons I had in my craft closet the other day and they’ve inspired us to get crafty with balloon prints the last few days. 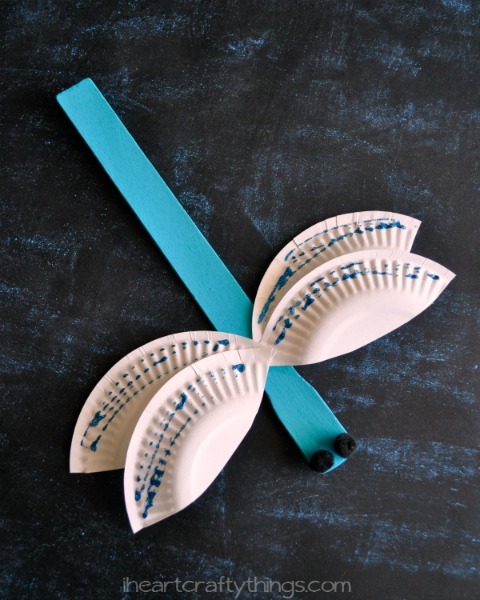 Today I’m sharing how to make this cute Bee Craft from balloon prints and I have another cute one to show you on Wednesday. 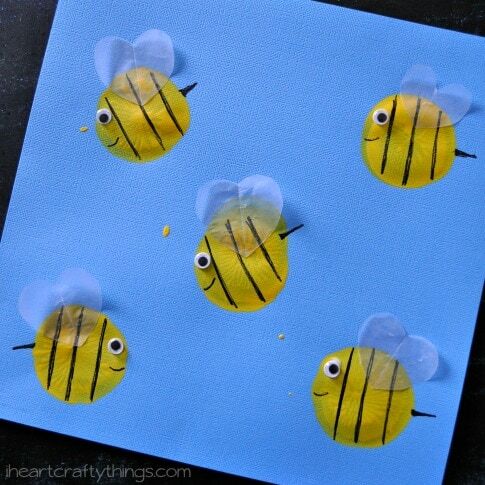 These little bees are so simple to make and are adorable! 1. Start by blowing up your balloon and tying a knot at the top to secure it shut. 2. 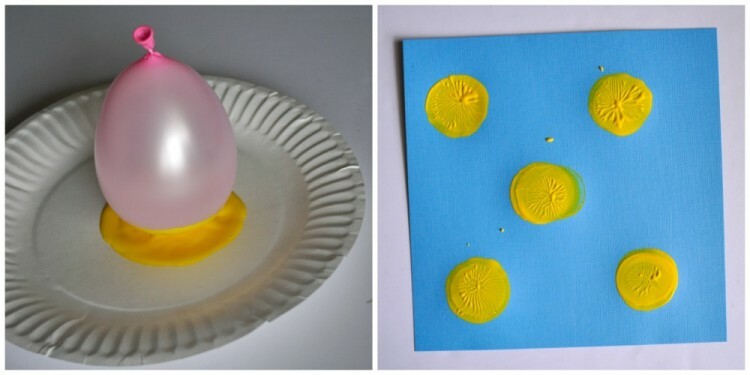 Pour some yellow paint onto a paper plate and dip your balloon into it a few times to coat the entire bottom of the balloon and then stamp it onto your blue paper. Dip the balloon into the yellow paint again and then make another print onto your blue paper. Continue making as many prints as you want on your paper. Let the paint dry completely. 3. 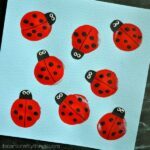 When your paint has dried, use your black marker to make black stripes along the bee print. 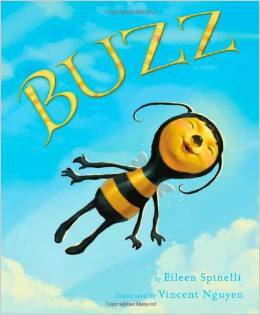 Also draw a stinger and a smile if you want to. 4. 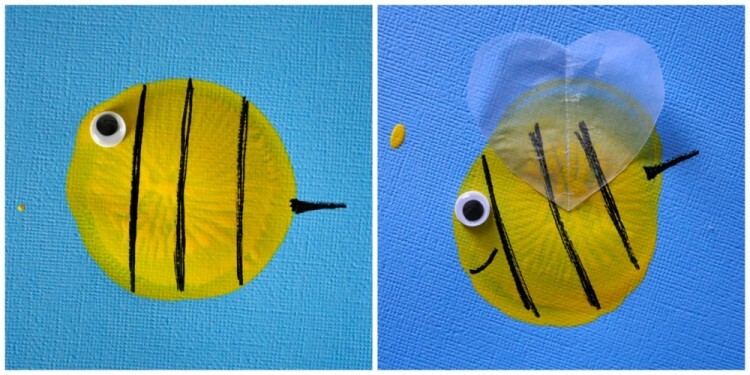 Glue a googly eye onto each of your bees. 5. Cut hearts out of your wax paper for wings and glue them at the top of your bees. I LOVE your crafts! 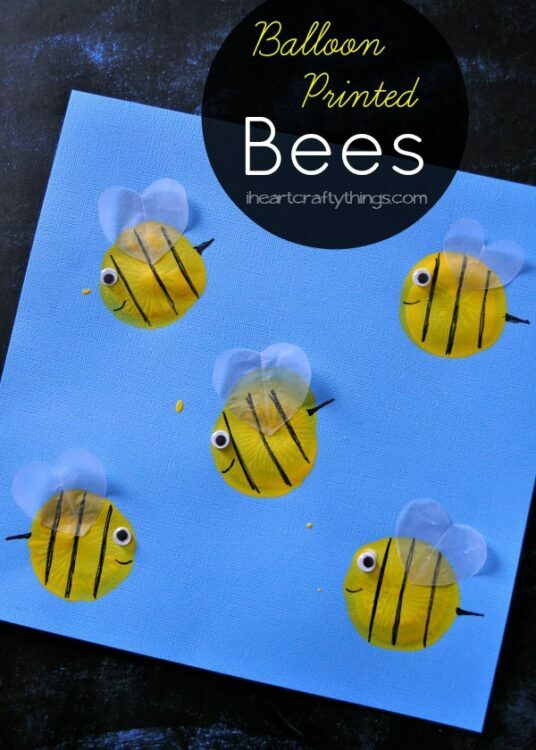 What I really love about them is I usually have everything I need around the house to do them with my kids 🙂 My son's Kindergarten teacher loves bees and her room has a bee theme so I'll definitely do this craft with my kids so they can give them to my son's teacher. Thanks! This is so cute! 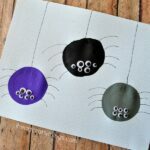 These crafts brighten my day. Thx for linking them up on the Thoughtful Spot!